As the year draws to a close it’s a good time to reflect on the year past. Oceanview. We have only had a very small family this year, 3 residents left us, 2 requiring another level of care and 1 transferred as her family were relocating, but we have welcomed 2 new residents. As I have mentioned in past newsletters we are very fortunate to have June as our Recreation Officer, she ensures that there are activities for all the residents and caters for all their interests as best she can. There have been some fantastic trips this year, the Russian Ballet in Wellington, Ballroom Dancing in Palmerston North, Operatunity concerts at Southwards, the local opera club shows, Visits to local attractions eg the trams at Queen Elizabeth Park, movies, Menz shed, and arts and crafts, games and lots of in-house entertainers and shopping outings. Our Residents have a better social life that the staff!!! 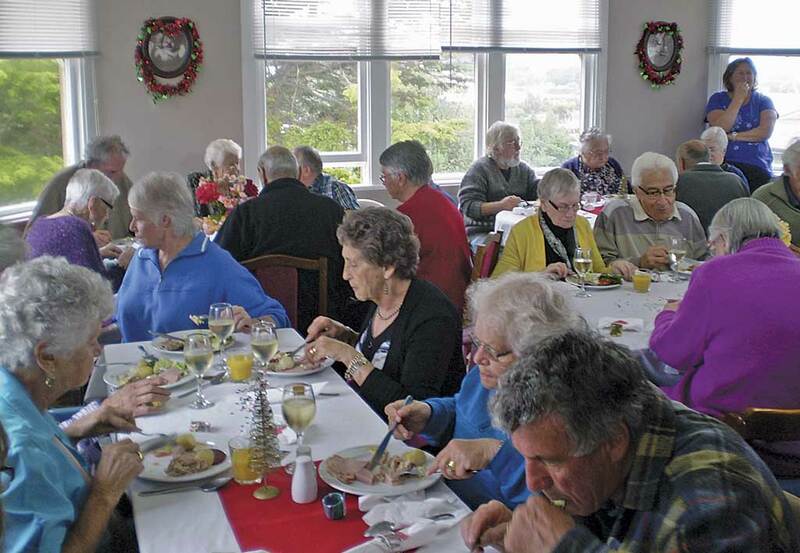 Tuesday 9th December is our annual family Christmas lunch and the residents have all been preparing table and rest home decorations for this occasion. The staff at Ocean View are a very dedicated bunch, 4 have just completed their foundation level papers in aged care and another 3 have just started. This means that over 85% of our staff have some qualifications in this field. We farewelled Robyn a registered nurse who had been with us 2 years but welcomed 3 new nurses. We are very fortunate that we have a very stable core of care givers, and their efforts are really appreciated by both the management and the residents. I would like to take this opportunity to thank all the folk that have supported Ocean View this year, the local contractors who can get called at any moment, the fire service who have turned out for the false alarms (always at ridiculous hours), Mona the hairdresser, The pastoral workers from various churches, local businesses, the Menz shed. It is all very much appreciated. If I have missed anyone I am sorry but please accept our thanks. Ocean View currently has some vacancies for both permanent and respite Rest Home level care so if you are thinking of these options please contact us and we can tell you what steps you need to take. Please come and visit us at any time if you would like to have a look or pick up an information pack and meet our friendly staff. To maintain our resident’s privacy while cares are being done we respectfully ask that visiting takes place between the hours of 10am and 8pm. Of course you can come outside these hours but please call the rest home beforehand.